The Sentinelese have remained on North Sentinel Island almost completely uncontacted for nearly 60,000 years. Anyone who has tried to contact them has been met with violence. 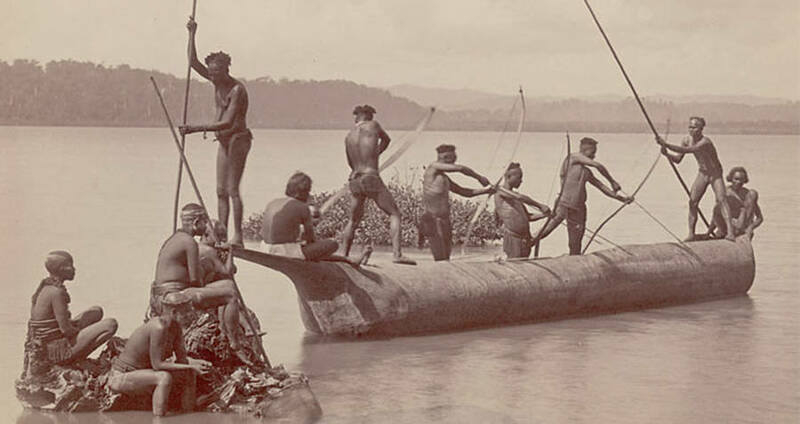 Wikimedia CommonsIndigenous Andaman men rowing through the Andaman Island chain. Just off the northwest tip of Indonesia, a small chain of islands trails through the deep blue waters of the Bay of Bengal. Part of the Indian archipelago, most of the 572 islands are open to tourists and have been trekked through by human beings for centuries. But among the snorkeling and sunbathing hotspots, there is one island, known as North Sentinel Island, that has remained almost entirely cut off from the world. For 60,000 years, its inhabitants, the Sentinelese, have lived in complete and utter solitude. Wikimedia CommonsMost of the Andaman Islands have become attractive tourist destinations, like Port Blair. Only North Sentinel Island is off limits. The other Andaman Islanders usually avoid the waters around North Sentinel Island, knowing full well that the Sentinelese tribe rejects contact violently. Straying into their territory is likely to provoke a conflict, and if that should happen, there is no possibility of a diplomatic resolution: the Sentinelese’s self-imposed isolation has ensured that nobody beyond their own shores speaks their language, and nor do they speak anyone else’s. Translation of any kind is impossible. Indian fishermen Sunder Raj and Pandit Tiwari knew that. They had heard the stories about the Sentinelese tribe, but they had also heard the waters off the coast of North Sentinel Island were perfect for mud crabbing. 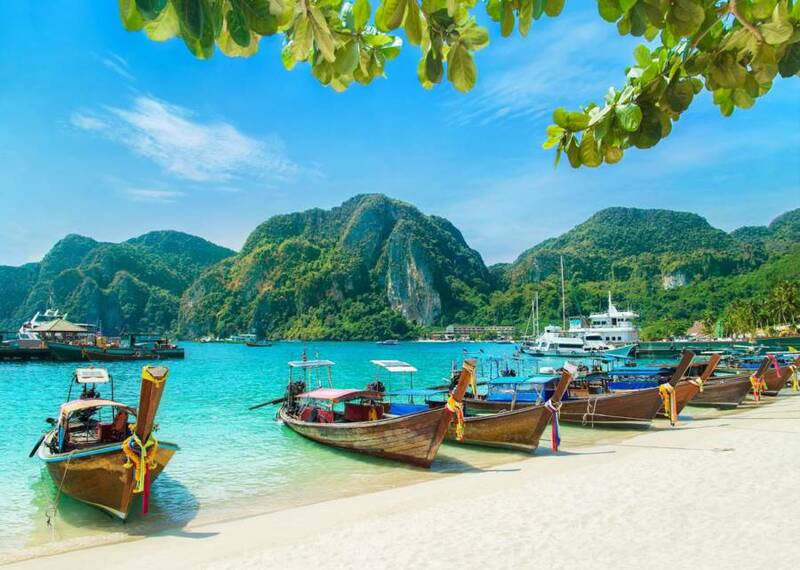 Though they were aware that Indian law prohibited visiting the island, the two men decided to take a risk. The pair set their pots and settled in to wait. When they fell asleep, their small fishing boat was a safe distance from the island. But in the night, their makeshift anchor failed them, and the current pushed them closer to the forbidden shores. The Sentinelese tribe attacked without warning, murdering the two men in their boat. They wouldn’t even let the Indian coast guard land to retrieve the bodies, instead shooting an endless stream of arrows at their helicopter. Eventually, the recovery attempts were abandoned and the Sentinelese tribe was left alone once more. For the next 12 years, no further attempts at contact were made. Who Are The Sentinelese Of North Sentinel Island? 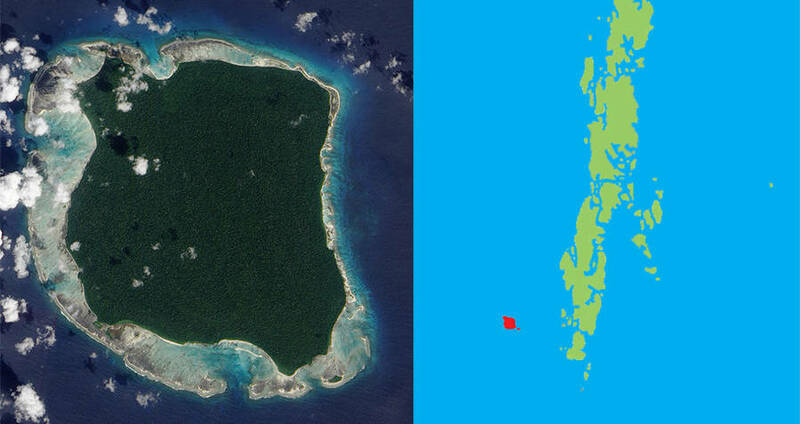 Wikimedia CommonsNorth Sentinel Island is surrounded by sharp coral and located out of the way of the other islands in the chain. As is to be expected from a tribe that has spent roughly 60,000 years avoiding outsiders, not much is known about the Sentinelese. Even calculating a rough estimate of their population size has proved difficult; experts guess the tribe has anywhere between 50 and 500 members. 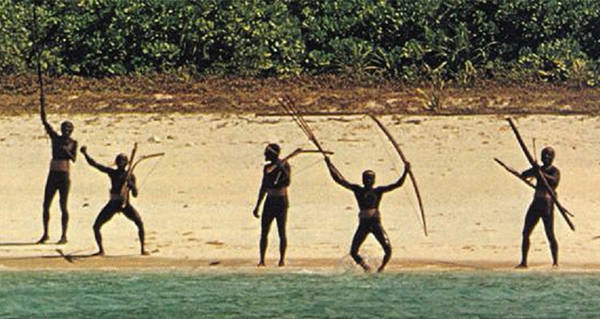 As if the earth knew that the Sentinelese wanted to be left alone, North Sentinel Island seems to have been designed with seclusion in mind. The island contains no natural harbors, is surrounded by sharp coral reefs, and is covered almost entirely in a dense forest, making any journey to the island a difficult one. Experts aren’t even sure how the Sentinelese tribe survived all of those years, especially the ones after the 2004 tsunami that devastated the coastline of the entire Bay of Bengal. Their homes, from what observers have been able to see from afar, consist of shelter-type huts made of palm leaves and larger communal dwellings with partitioned family quarters. Though the Sentinelese seem to have no forging processes of their own, researchers have seen them making use of metal objects that have washed up on their shores from shipwrecks or passing carriers. The Sentinelese arrows that made their way into researchers’ hands — usually via the sides of unlucky helicopters that attempted to land on the remote island — reveal that the tribe crafts different arrowheads for different purposes, such as hunting, fishing, and defense. 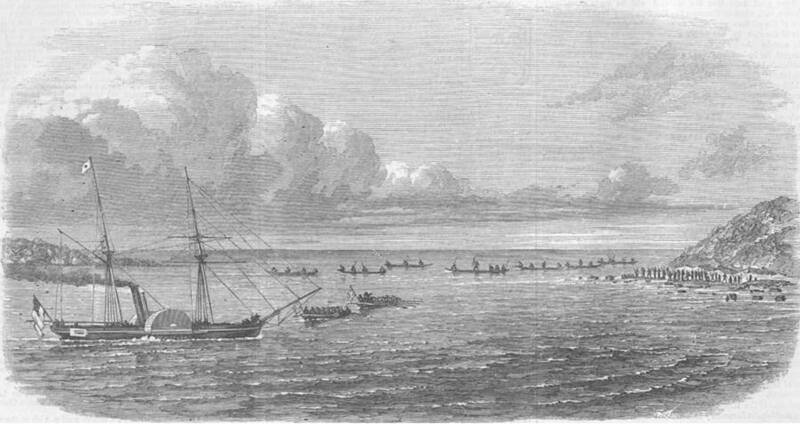 Wikimedia CommonsA depiction of an early trip to the Andaman Islands. The reclusive Sentinelese tribe has naturally drawn interest over the centuries. One of the earliest recorded attempts at contact took place in 1880, when, in accordance with British imperial policy for uncontacted tribes, 20-year-old Maurice Portman kidnapped an elderly couple and four children from North Sentinel Island. He intended to bring them back to Britain and treat them well, study their customs, then shower them with gifts and return them home. But on arrival at Port Blair, the capital of the Andaman Islands, the elderly couple fell ill, as their immune systems were especially vulnerable to the diseases of the outside world. Fearing that the children would die as well, Portman and his men returned them to North Sentinel island. For almost 100 years, Sentinelese isolation continued, until 1967, when the Indian government attempted to contact the tribe once more. The tribe was unwilling to cooperate and retreated into the jungle every time Indian anthropologists attempted to interact. Eventually, the researchers settled for leaving gifts on the shore and backing off. Contact attempts in 1974, 1981, 1990, 2004, and 2006 by a variety of groups, including National Geographic, a Naval sailing ship, and the Indian government, were all met with a relentless curtain of arrows. Since 2006, after the efforts to retrieve the unfortunate mud crabbers’ bodies were warded off, only one more attempt at contact has been made. An anthropologist comments on John Allen Chau’s dangerous trip to North Sentinel Island. Twenty-six-year-old American John Allen Chau was always adventurous — and it wasn’t unusual for his adventures to land him in trouble. But he had never been anywhere as dangerous as North Sentinel Island. He was drawn to the isolated shores by missionary zeal. Though he knew that the Sentinelese had violently rejected past attempts at contact, he felt compelled to make an effort to bring Christianity to the people. In the fall of 2018, he traveled to the Andaman Islands and convinced two fishermen to help him evade patrol boats and make his way into the forbidden waters. When his guides would go no farther, he swam to shore and found the Sentinelese. His reception was not encouraging. The women of the tribe spoke anxiously among themselves, and when the men appeared, they were armed and antagonistic. He returned swiftly to the fishermen waiting off shore. He made a second trip the following day, this time bearing gifts, including a football and a fish. This time, a teenage member of the tribe loosed an arrow at him. It hit the waterproof bible he carried under his arm, and once again, he retreated. He was right. When the fishermen returned to pick him up from his trip ashore the following day, they saw several Sentinelese men dragging his body away to bury it. His remains were never retrieved, and the friend and fishermen who helped him with his dangerous journey were arrested. 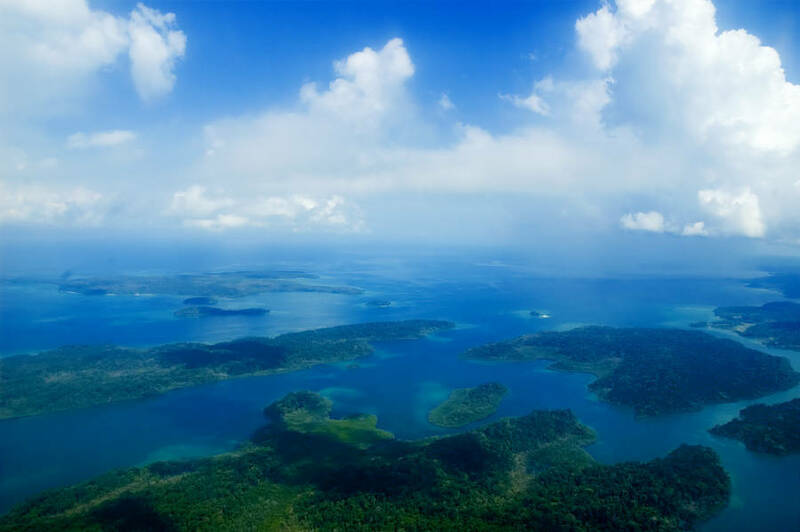 Wikimedia CommonsAn aerial view of the Andaman Islands. Chau’s actions sparked a heated international debate about the value and risks of missionary work, as well as the protected status of North Sentinel Island. Some pointed out that while Chau meant to help the tribe, he actually endangered them by bringing potentially harmful germs into a vulnerable population. Others praised his courage but despaired at his failure to recognize that the chances of success were almost nonexistent. And some found his mission disturbing, reasserting the tribe’s right to pursue their own beliefs and practice their own culture in peace — a right that nearly every other island in the archipelago lost to invasion and conquest. The Sentinelese have remained solitary for centuries, effectively eschewing all contact with the outside world. Whether they fear the modern age or simply wish to be left to their own devices, their solitude seems likely to continue, perhaps for another 60,000 years. After learning about North Sentinel Island and the uncontacted Sentinelese tribe, read about these other uncontacted tribes throughout the world. Then, take a look at some Frank Carpenter photos of people from the turn of the 20th century.